Styled in such a way as to resemble the way photographers think, Nik Software Captured aims to help you learn to apply all the features and functionality of the Nik software products. 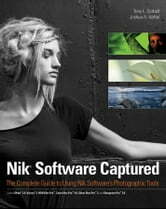 With Nik Software Captured, authors and Nik Software, Inc. insiders Tony Corbell and Josh Haftel help you use after-capture software products easier and more creatively. Their sole aim is to ensure that you can apply the techniques discussed in the book while gaining a thorough understanding of the capabilities of programs such as Dfine 2.0, Viveza 2, Color Efex Pro 4.0, Silver Efex Pro 2, Sharpener Pro 3.0, and HDR Efex Pro. 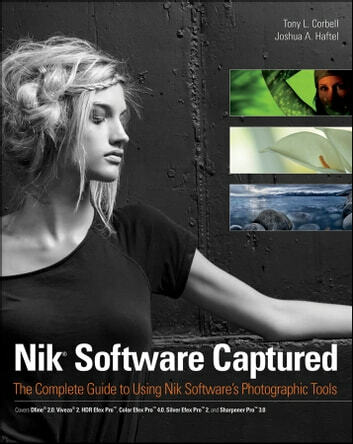 With Nik Software Captured, you'll quickly benefit from the array of helpful techniques featured in this single resource.